The MOHH Healthcare Scholarships Centre recently launched our inaugural Healthcare Attachment Programme (HAP) in January 2015. This 5-day attachment programme gives students a unique and valuable opportunity to shadow various Allied Health Professionals and Nurses at work. We hear more from the participating institutions as well as the students who were selected for this programme! Our HAP students had the opportunity to find out more about the work that Nurses, Diagnostics Radiographers (DR) and Respiratory Therapists (RT) do during visits to the Singapore General Hospital (SGH) and KK Women’s and Children’s Hospital (KKH), which are institutions under SingHealth. To better understand the critical role that nurses play, the students visited medical and surgical wards to observe how nurses carry out their duties from diagnosis, treatment to discharge planning. Through the sharing by nurses, they learnt about opportunities for training and development and the career pathways - clinical care, education, research and nursing informatics - offered by SGH. Diagnostic Radiographers (DRs) are another group of healthcare professionals which the students interacted with. At the Diagnostic Radiology Department, students immerse themselves to observe how radiographers use high-technology imaging equipment to produce quality images which are critical to aid patients’ diagnosis and treatment. Respiratory Therapists (RTs) are part of the Hospital’s multi-disciplinary medical and surgical teams, working alongside doctors to care for patients. During the visit, the students not only had their burning questions answered but observed RTs at work in the Intensive Care Unit, outpatient clinics and patient wards as well. From premature infants with underdeveloped lungs to elderly patients with pulmonary diseases, and patients with cardiopulmonary or lung disorders, they saw how RTs assess patients' respiratory statuses and carry out appropriate treatments. Over in Singapore’s North, Khoo Teck Puat Hospital organised a visit to the Diagnostic Radiology Department for students undergoing the HAP. What did the Diagnostic Radiology department plan for HAP attendees? We started off with a short presentation which gave an overview of this profession’s career path. Thereafter, the students were attached to various modalities such as Magnetic Resonance Imaging (MRI), Computerized Tomography (CT) Scan, etc. to get a realistic feel of a Radiographer’s roles. We take the guesswork out of diagnosis. Every day, we work with doctors to provide quality diagnostic images that facilitate accurate diagnosis by doctors in the shortest time possible. This allows for the correct treatment to be carried out promptly, saving lives and improving the clinical outcome for patients. What are some common misconceptions about Radiology? One of the most common misconceptions is that we work in a dangerous radioactive environment. The danger signs outside our doors only deepen this misperception. The truth is that we are well-versed in radiation safety and work in a very safe environment. Our protective equipment and work areas are specially designed to limit exposure to scatter radiation during procedure. In fact, the radiation from a single chest x-ray is equivalent to that of a four-hour flight. At the National University Hospital (NUH), students attending the HAP experienced firsthand how various Allied Health Professionals function in the public healthcare setting! The students were organised into small groups to cover different aspects of and gain greater exposure to each healthcare discipline. "The HAP was a really fantastic experience for me! It really allowed us to have a behind-the-scenes glimpse into what goes on in public healthcare. NUH put together a really good programme for us – we were able to access the ICU wards, operating theatres, the A&E centre and other important areas. “We also had the opportunity for one-to-one interaction with healthcare professionals. I was impressed by their dedication as they took the time to answer our questions. There was a sense of genuine camaraderie among them and they really worked well as a team. Last but not least, we decided to hear from our pioneer batch of HAP participants that had their attachments at National Healthcare Group! “The HAP was an eye-opening experience for us as it shed light on the daily working lives of Allied Health Professionals (AHP) and Nurses. After observing these healthcare professionals at work, our interest in pursuing a career with the public healthcare sector further affirmed. To sum up, these professions are fascinating, exciting, admirable, and most of all, meaningful. “During the HAP, we had first-hand experience trying out the latest equipment and witnessing the camaraderie and teamwork in the healthcare multi-disciplinary teams. Our queries were always welcomed by the professionals. With so many different specialisations, there are countless developmental opportunities! 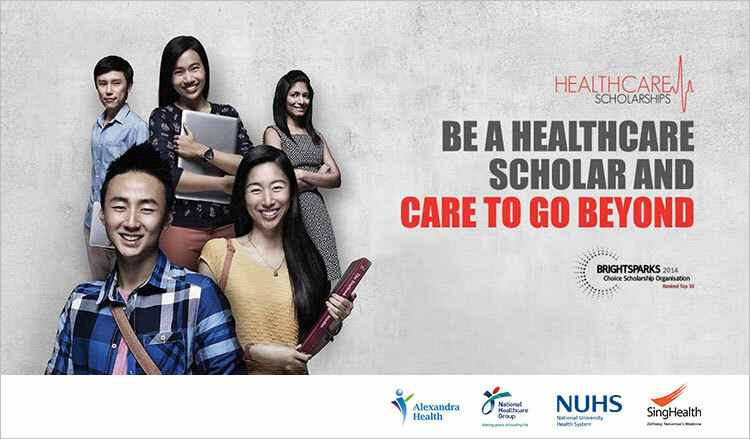 For updates on Healthcare Scholarships’ latest happenings, follow us on Instagram or like us on Facebook!